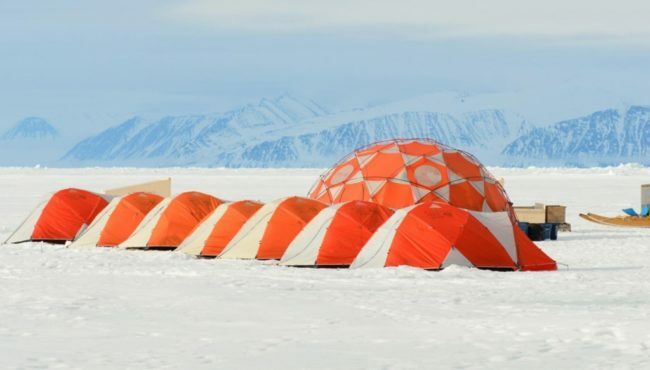 Pond Inlet Floe Edge Basecamp – The Great Canadian Travel Co. 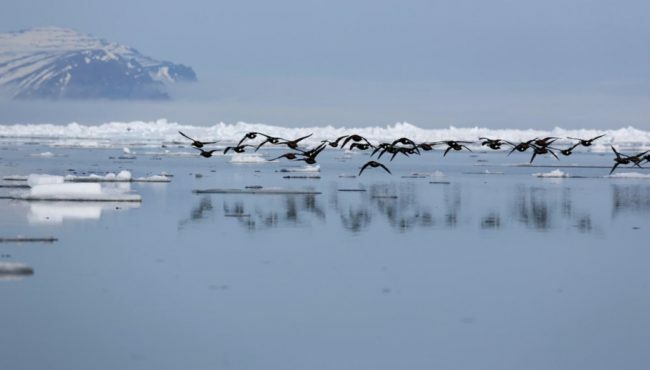 The floe edge is the magical border between the sea ice and open ocean; an area where arctic mammals and birds congregate. 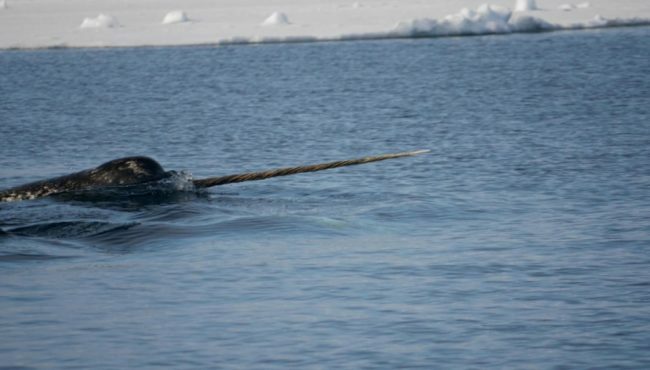 Take in this amazing arctic experience from a comfortable, well-equipped basecamp and maybe spot the elusive narwhal. Designated a “Canadian Signature Experience” by Destination Canada. Price is shown in CA$, per person, based on shared tent accommodation and twin room in Pond Inlet. 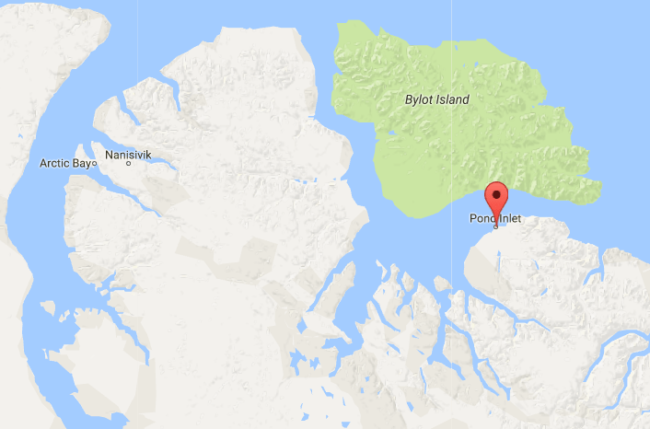 Pond Inlet (pop. 1550 in 2011) is a true northern community, about as far-flung from the world we know as it is possible to go. The hamlet overlooking Eclipse Sound, with a backdrop of the northern mountains of Baffin Island, receives around three months of perpetual sunlight in summer and a corresponding three months of night lit only by the moon, stars and aurora in winter. From the community of Pond Inlet, we will travel by snowmobile and “Qamutik” (wooden sled) towards the floe edge in Arctic Bay- an area known as the “line of life”. Guided by highly-qualified guides, including local Inuit guides, ice conditions and weather will determine our exact route. Once a suitable area has been chosen, a comfortable base camp will be created. The base camp will serve as a hub for the expedition and the various activities that will be undertaken. Your safety will be the number one priority as we explore, film, and photograph one of nature’s most amazing and variable landscapes. No other company in the world has the same experience in organizing and running this type of adventure than Black Feather. The experience and knowledge of the local guides is also unmatched. 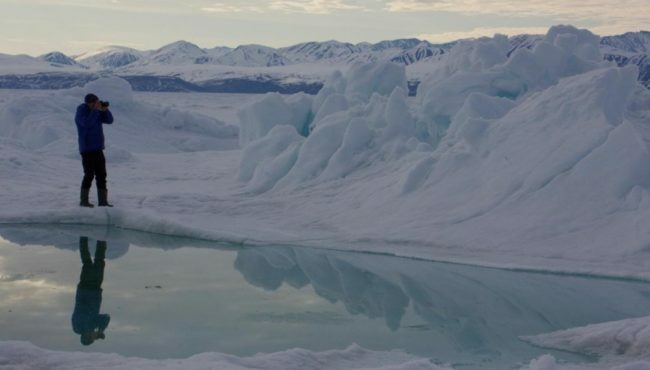 Combined with top-quality customer service and attention to detail, this is truly one of the classic Arctic adventures. Full advantage will be taken of the endless days to explore and learn more about this incredible environment. This year we have added optional ski and kayak tours. These activities will depend on the conditions. 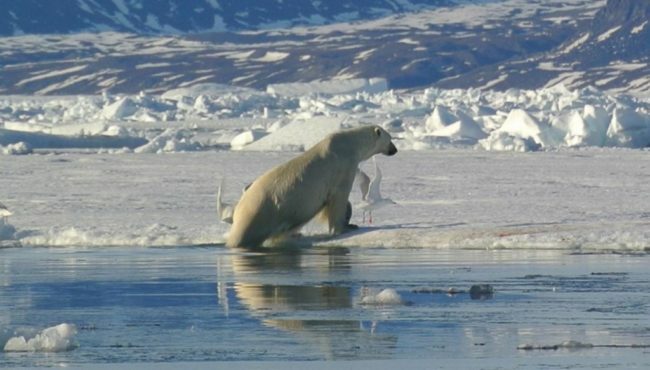 During this expedition, we have a chance of seeing polar bears, a variety of species of sea birds, narwhal, seals, and (possibly) the massive bowhead whale. 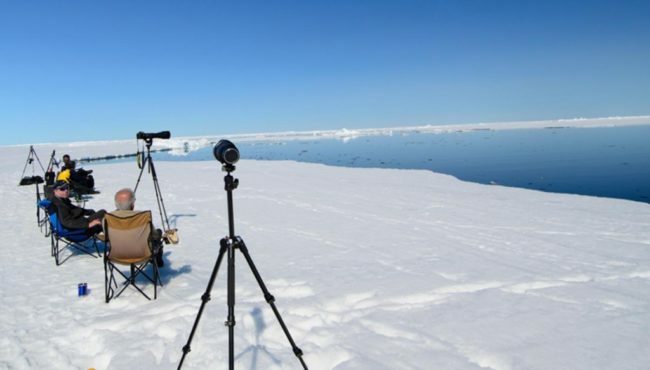 The “Floe Edge Wildlife Basecamp” experience has been designated a “Canadian Signature Experience” by Destination Canada.